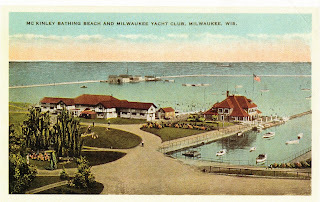 Made it Milwaukee, made it out on the water and found this wonderful image of the Yacht Club back in the day. 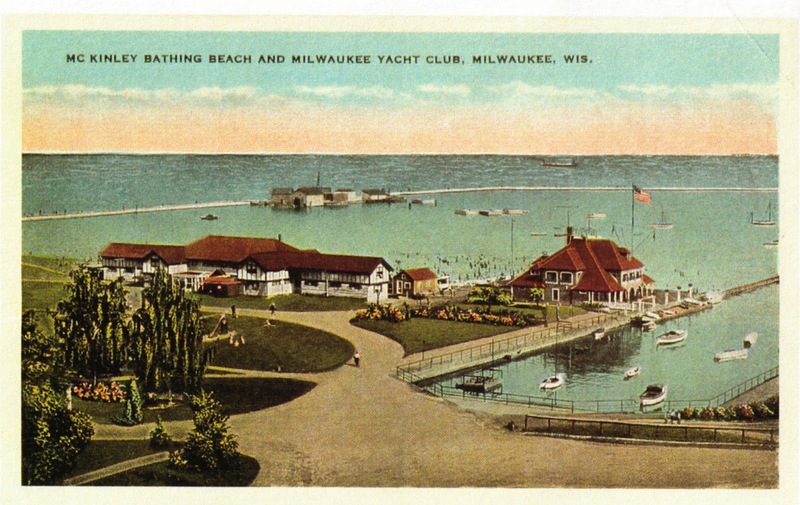 I noticed the McKinley Bathing Beach.... So who bathes there? Is that legal? And isn't it nice to think that in the future names that today mean something will mean as little as McKinley does to the current generation.